Do not put the LORD your God to the test, as you tested him at Massah. You must diligently keep the commandments of the LORD your God, and his decrees, and his statutes that he has commanded you. Do what is right and good in the sight of the LORD, so that it may go well with you, and so that you may go in and occupy the good land that the LORD swore to your ancestors to give you, thrusting out all your enemies from before you, as the LORD has promised. When your children ask you in time to come, "What is the meaning of the decrees and the statutes and the ordinances that the LORD our God has commanded you?" then you shall say to your children, "We were Pharaoh's slaves in Egypt, but the LORD brought us out of Egypt with a mighty hand. The LORD displayed before our eyes great and awesome signs and wonders against Egypt, against Pharaoh and all his household. He brought us out from there in order to bring us in, to give us the land that he promised on oath to our ancestors. Then the LORD commanded us to observe all these statutes, to fear the LORD our God, for our lasting good, so as to keep us alive, as is now the case. If we diligently observe this entire commandment before the LORD our God, as he has commanded us, we will be in the right." Today the church celebrates Mardi Gras. The festival season varies from city to city, as some traditions, such as the one in New Orleans, Louisiana, consider Mardi Gras to stretch the entire period from Twelfth Night (the last night of Christmas which begins Epiphany) to Ash Wednesday. Others treat the final three-day period before Ash Wednesday as the Mardi Gras. In Mobile, Alabama, Mardi Gras-associated social events begin in November, followed by mystic society balls on Thanksgiving, then New Year's Eve, followed by parades and balls in January and February, celebrating up to midnight before Ash Wednesday. In earlier times, parades were held on New Year's Day. 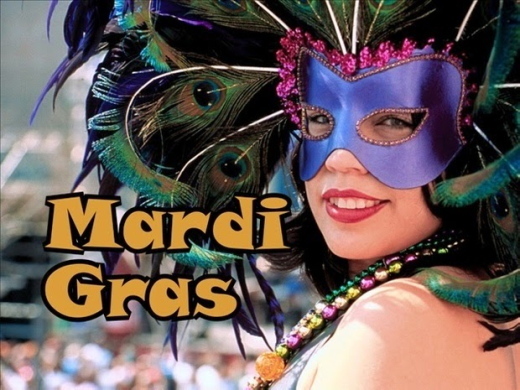 Other cities famous for Mardi Gras celebrations include Rio de Janeiro; Barranquilla, Colombia; George Town, Cayman Islands; Port of Spain, Trinidad and Tobago; Quebec City, Quebec, Canada; and Mazatlán, Sinaloa, Mexico. In 1723, the capital of Louisiana was moved to New Orleans, founded in 1718. The first Mardi Gras parade held in New Orleans is recorded to have taken place in 1837. The tradition in New Orleans expanded to the point that it became synonymous with the city in popular perception, and embraced by residents of New Orleans beyond those of French or Catholic heritage. Mardi Gras celebrations are part of the basis of the slogan, Laissez les bons temps rouler, (Let the good times roll). On Mardi Gras Day, the Tuesday before Ash Wednesday, the last parades of the season wrap up and the celebrations come to a close with the Meeting of the Courts (a.k.a. locally as the Rex Ball). Other cities along the Gulf Coast with early French colonial heritage, from Pensacola, Florida; Galveston, Texas; to Lake Charles and Lafayette, Louisiana; and north to Natchez, Mississippi, have active Mardi Gras celebrations. In the rural Acadiana area, many Cajuns celebrate with the Courir de Mardi Gras, a tradition that dates to medieval celebrations in France. Morning Devotions with Cap'n Kenny - "A Hindrance to Prayer"
The promise of answered prayer isn’t given to every human being. Rather, it is a unique promise for those who have a relationship with God. In fact, the very reason that Jesus Christ came to this earth and died on the cross is so that we might come into a relationship and a friendship with our Creator. But we all have a disease called sin that we can’t get rid of. Thus, when Christ died on the cross, He took our sins upon Himself. We have often heard it said that we are all the children of God, that we are all brothers and sisters. In reality, we aren’t all God’s children. The Bible says that we are God’s offspring, meaning that we are humans who were created in His image. (That isn’t true, of course, of the animal kingdom.) We were made in God’s image, but we are not automatically the children of God. That only takes place when we come to Him, turn from our sin, and ask Jesus Christ to be our Savior and Lord. The Bible says, “But as many as received Him, to them He gave the right to become children of God, to those who believe in His name” (John 1:12). God must adopt you. You cannot automatically be His child. There has to come a moment in your life when you ask Him for His forgiveness, and He will adopt you as His son or daughter. And because of what Jesus did, you can have access to the throne of God. Therefore, if anyone is in Christ, the new creation has come: The old has gone, the new is here (2 Corinthians 5:17, niv). Replace the lie with truth. To learn more about how to recognize the lies, reject the lies, and replace the lies with truth, check out my book, I’m Not Good Enough and Other Lies Women Tell Themselves. It will transform your stinkin thinkin into confident joy! It also includes a Bible Study guide, which is perfect for group studies. And for a quick reference guide of Your True Identity in Christ, see my laminated card that fits snuggly in your Bible. 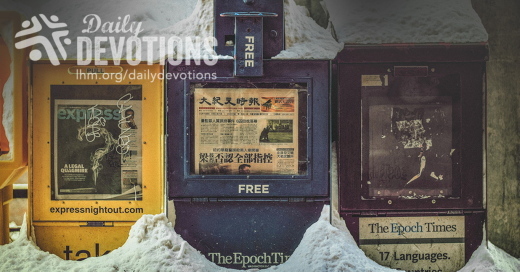 LHM Daily Devotion - "Showing Respect"
Respect, that's a word and a concept, which has fallen out of favor. Respect. Watch the evening news and keep tabs on what you see. Almost always the reports will begin with a lack of respect. There's the video footage of a mangled car where someone decided to disrespect the railroad crossing's flashing lights, ringing bells, and descending crossbuck barriers. There is also the story of the latest terrorist bombing where some religious fanatic has decided that his point of view is so important that he has a mandate to disrespect and destroy the lives of innocent men, women and children. Those tragedies have one thing in common. They are all accounts that show no respect. Most of our Daily Devotions folk will not argue when I suggest that today respect is in serious and short supply. Most of us remember President Franklin Delano Roosevelt who was crippled by polio. No matter what you think of him as a leader, it must be conceded that he waged a heroic fight against that disease. The media of his day respected that battle. Although Roosevelt served as president longer than any other man, and was unable to walk, unaided during that entire time, there are only two known pictures of him in a wheelchair. Today, let a leader fall, become sick, or stumble in a speech, and a disrespectful press will gleefully gloat and splash the story across its front pages. It will suggest we judge that entire individual on the basis of that slip or stumble. I imagine it's not the first time in history that respect hasn't, well, been respected. Here's what an observer of society once said: "... our youths love luxury. They have bad manners, contempt for authority -- they show disrespect for their elders and love to chatter in places of exercise .... Children are now tyrants, not the servants of their households." Do you agree? Well, that was said by Socrates, the Athenian philosopher. He said those words almost 2,500 years ago. You see, lack of respect is nothing new. In fact, if you think about it, when Adam and Eve decided they knew better than God and ate the forbidden fruit, that choice was motivated by a lack of respect. In contrast to those who elevate themselves, Christians should be different. 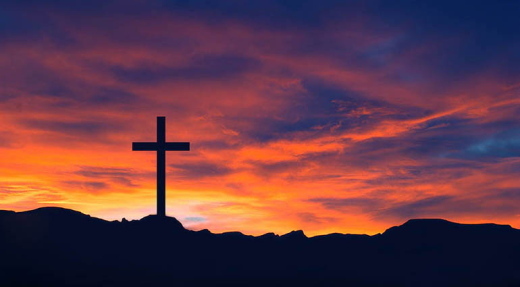 Because of the Savior's sacrifice, because we have been moved from darkness to light, because we have been forgiven, restored and redeemed, we should always show respect to the Lord. We ought to join our voices with those who stand before the heavenly throne and say, "Blessing and glory and wisdom and thanksgiving and honor and power and might be to our God forever and ever! Amen." THE PRAYER: Dear Lord when I speak Your Name, may it be done with honor and respect. May all around me know the gratitude I have for all You have done for me. This I ask in my Redeemer's Name. Amen. He asistido a muchas recepciones de bodas y he escuchado toda clase de bandas. Desde las más populares hasta las más sofisticadas; bandas de rock, bandas de polca, grandes bandas como en los viejos tiempos, mini-orquestas, e incluso una banda escocesa con gaitas. Algunas fueron realmente buenas; otras, casi una tortura. Sin embargo, por más malas que fueran, no las trataría como recientemente fue tratada una en una boda en Afganistán. Con el transcurrir de los años, el Talibán ha demostrado no sentirse cómodo con los oficiales del gobierno, la policía, las tropas extranjeras y las escuelas para niñas. Y luego también agregaron a su lista a las bandas que tocan en las bodas. Esta vez no mataron a los miembros de la banda, pero sí destruyeron sus instrumentos musicales, golpearon a cinco músicos, los ataron a árboles, les afeitaron la cabeza y les hicieron prometer públicamente nunca más cantar o tocar música en ninguna boda. Esto no se debió a la mala aptitud de los músicos, sino que el Talibán cree que la música no es islámica. Qué contraste con las palabras de ánimo del Salmista. En lugar de censurar la música, el Dios Trino la recibe alegremente. ¡Alabado sea el Señor con trompetas! ¡Alabado sea el Señor con arpa, pandero, flautas, con campanillas sonoras y jubilosas! Y para dejar por seguro que todos están incluidos, el Salmo como que dice: 'Si puedes respirar, más te vale alabar al Señor'. Lo que diferencia a los cristianos de los seguidores de otras religiones, es la convicción de que no hay necesidad de hacer buenas obras para ser salvos. Nosotros, que hemos sido redimidos gracias a la obra del Salvador; que hemos sido aceptados en la familia de fe; que hemos sido salvados del infierno y llevados al cielo, tenemos una muy buena razón para alabar al Señor. ORACIÓN: Amado Padre celestial, gracias por enviar a tu Hijo en mi lugar para salvarme, y gracias también por la obra del Espíritu Santo, quien me ha dado la fe y me mantiene firme en ella. Ayúdame a que siempre te esté agradecido por tu continua misericordia. En nombre de Jesús. Amén. They are a little late. Death has already been defeated! Jesus said, “I am the resurrection and the life. The one who believes in me will live, even though they die; and whoever lives by believing in me will never die” (John 11:25–26). Jesus assures us that those who put their trust in Him will never, ever, under any circumstances whatever, die. To be clear, our bodies will die—and there is nothing anyone can do to change that. But the thinking, reasoning, remembering, loving, adventuring part of us that we call “me, myself, and I” will never, ever die. And here’s the best part: It’s a gift! All you have to do is receive the salvation Jesus offers. C. S. Lewis, musing on this notion, describes it as something like “a chuckle in the darkness”—the sense that something that simple is the answer. Some say, “It’s too simple.” Well, I say, if God loved you even before you were born and wants you to live with Him forever, why would He make it hard? Dear Jesus, I believe You died for my sins and rose from the dead. I want to accept You as my Lord and Savior and follow You. Please forgive my sins and help me, from this moment on, to live a life that is pleasing to You. Trong bài báo “Dự án Mới nhất của Những Gã Khổng Lồ Công Nghệ: Thách Thức Cái Chết” của tờ Washington Post, Ariana Cha viết về những nỗ lực giúp con người trường thọ của Peter Thiele và những gã khổng lồ công nghệ khác. Họ chuẩn bị bỏ hàng tỉ đô-la vào dự án này. Nhưng họ làm hơi trễ một chút vì sự chết đã bị đánh bại rồi! Chúa Jêsus nói: “Ta là sự sống lại và sự sống. Người nào tin Ta thì sẽ sống, mặc dù đã chết rồi. Còn ai sống mà tin Ta thì sẽ không bao giờ chết” (Giăng 11:25-26). Chúa Jêsus đảm bảo với chúng ta rằng những ai đặt lòng tin nơi Ngài sẽ không bao giờ và không hề chết dưới bất cứ hoàn cảnh nào. Nói rõ hơn là, thân thể của chúng ta rồi sẽ chết đi – và không ai có thể thay đổi sự thật này. Nhưng phần suy nghĩ, lập luận, nhớ thương và phiêu lưu mà chúng ta gọi là “tôi, chính tôi” thì sẽ không bao giờ và không hề chết đi. Và đây là tin tốt lành nhất: Đó là một tặng phẩm! Tất cả những gì chúng ta cần làm là tiếp nhận ơn cứu chuộc Chúa Jêsus ban cho. Suy ngẫm về ý niệm này, C. S. Lewis đã mô tả nó như thể một “tiếng cười thầm trong đêm” – ý muốn nói một điều gì đó hết sức giản đơn nhưng lại chính là lời giải đáp. Một số người nói rằng: “Sao đơn giản thế!” Tôi nói, nếu Đức Chúa Trời yêu bạn ngay từ trước khi bạn sinh ra và muốn bạn sống với Ngài mãi mãi, thì tại sao Chúa lại phải làm cho nó trở nên khó khăn và phức tạp? Lạy Chúa Jêsus yêu quý, con tin Ngài đã chết vì tội lỗi của con và đã sống lại từ kẻ chết. Con muốn tiếp nhận Ngài làm chủ và làm Đấng Cứu Chuộc con và con xin đi theo Ngài. Xin tha tội cho con và giúp con, từ giờ phút này trở đi, sống cuộc đời làm vui lòng Ngài. Đấng Christ đã thay cánh cửa tối tăm của sự chết bằng cổng sự sống ngập tràn ánh sáng. Porque de tal manera amó Dios al mundo, que ha dado a su Hijo unigénito, para que todo aquel que en él cree […] tenga vida eterna (Juan 3:16). Un artículo del Washington Post, titulado «Último proyecto de los titanes de la tecnología: Desafío a la muerte», hablaba de los esfuerzos de Peter Thiele y otros magnates tecnológicos por extender la vida indefinidamente. Están dispuestos a gastar millones en ese proyecto. Llegaron un poco tarde. ¡La muerte ya fue vencida! Jesús declaró: «Yo soy la resurrección y la vida; el que cree en mí, aunque esté muerto, vivirá. 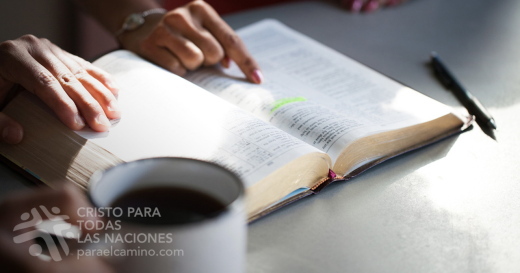 Y todo aquel que vive y cree en mí, no morirá eternamente» (Juan 11:25-26). Todos los que ponen su fe en Él nunca jamás morirán. Para ser claros, nuestros cuerpos morirán; y no hay nada que se pueda hacer para cambiar esta realidad. Pero el pensamiento, el razonamiento, el sentimiento y toda la parte inmaterial de nuestro ser —lo que llamamos el «yo»— nunca morirá. Y esto es lo mejor de todo: ¡es un regalo! Lo único que tienes que hacer es recibir la salvación que ofrece Jesús. C. S. Lewis, reflexionando en esto, lo describe como una especie de «risita en la oscuridad»: una sensación de que la respuesta es algo sumamente sencillo. Algunos dicen: «Es demasiado sencillo». A lo que yo respondo: «Está bien. Pero si Dios te amaba antes de que nacieras y quiere que vivas con Él para siempre, ¿por qué iba a hacerlo difícil?». Señor Jesús, perdona mis pecados. Te acepto como mi Salvador. Cristo reemplazó la puerta oscura de la muerte con el portal radiante de la vida. Unser Täglich Brot - Geschenkt! „Das neueste Projekt der Techniktitanen: Den Tod besiegen“, so lautete vor einiger Zeit die Überschrift über einem Zeitungsartikel, in dem es um die Bestrebungen von Peter Thiel und anderen Größen aus dem Silicon Valley ging, das Leben ins Unendliche zu verlängern. Für ihre Projekte sind sie bereit, Milliarden zu investieren. Aber sie kommen etwas spät. Der Tod ist schon besiegt! Jesus hat gesagt: „Ich bin die Auferstehung und das Leben. Wer an mich glaubt, der wird leben, auch wenn er stirbt; und wer da lebt und glaubt an mich, der wird nimmermehr sterben“ (Joh. 11,25-26). Jesus versichert uns, dass jeder, der auf ihn vertraut, niemals und unter keinen Umständen sterben wird. Sicher, unser Körper wird sterben, und daran kann niemand etwas ändern. Aber der Teil von uns, der denkt, überlegt, erinnert, liebt, das Abenteuer sucht—der Teil, den wir „ich, meiner, mir, mich“ nennen—der stirbt nie. Und was das Beste ist: Das ist ein Geschenk! Wir müssen nur die Erlösung annehmen, die Jesus uns anbietet—so einfach ist das! Manche sagen: „Zu einfach.“ Darauf erwidere ich: Wenn Gott dich schon geliebt hat, ehe du geboren wurdest, und möchte, dass du ewig mit ihm zusammenlebst, wieso sollte er es dann schwieriger machen? Lieber Herr Jesus, ich glaube, dass du für meine Sünden gestorben und von den Toten auferstanden bist. Ich möchte dich als meinen Herrn und Erlöser annehmen und dir folgen. Bitte vergib meine Sünde und hilf mir, von jetzt an so zu leben, wie es dir gefällt. Jesus hat die dunkle Tür des Todes weggenommen und durch das leuchtende Tor des Lebens ersetzt. Dans un article du Washington Post intitulé « Tech Titans’ Latest Project : Defy Death » (Le tout récent projet de géants de la technologie : défier la mort), Ariana Cha a décrit les efforts que fournissent Peter Thiele et d’autres manitous de la technologie dans le but de prolonger indéfiniment la vie. Or, ils sont prêts à y investir des milliards de dollars. Ils arrivent toutefois un peu en retard. La mort a déjà été vaincue ! Ce fait, Jésus l’affirme ainsi : « Je suis la résurrection et la vie. Celui qui croit en moi vivra, quand même il serait mort ; et quiconque vit et croit en moi ne mourra jamais » (JN 11.25,26). Jésus nous assure que ceux qui mettent leur foi en lui ne mourront jamais, au grand jamais, et sous aucun prétexte. Pour dire les choses clairement, sachez que notre corps mourra – et il n’y a rien que nous puissions y changer –, mais la pensée, la raison, le souvenir, l’amour et le sens de l’aventure qui nous animent et que nous appelons « le je, le moi et le moi‑même » ne mourront jamais. Et voici le meilleur de tout : il s’agit d’un cadeau ! Tout ce que vous avez à faire, c’est de recevoir le salut que Jésus vous offre. En méditant cette notion, C. S. Lewis l’a comparée à « un rire dans l’obscurité », à la découverte qu’une chose aussi simple en est la réponse. À ceux qui prétendent que « c’est trop simple », je dis ceci : Si Dieu nous a aimés avant même notre naissance et qu’il désire que nous vivions avec lui pour toujours, pourquoi nous rendrait‑il la chose difficile ? У газеті “Вашингтон Пост” з’явилась стаття під заголовком “Виклик смерті: новітній проект технологічних титанів”. В ній журналістка Аріана Ча розповідає про великі спроби Пітера Тля та інших магнатів збільшити тривалість людського життя до нескінченності. Вони готові були витратити на цей проект мільярди доларів. Але вони трішки спізнились. Смерть вже давно переможена! Ісус сказав: “Я воскресення й життя. Хто вірує в Мене, хоч і вмре, буде жити. І кожен, хто живе та хто вірує в Мене, повіки не вмре” (Ів. 11:25-26). Треба, однак, дещо прояснити: наші тіла помруть – і ніщо цього не змінить. Але ніколи не помре та частка нашого єства, що мислить, міркує, пам’ятає, любить. Йдеться про найбільш важливу складову нашої природи – про те, що ми називаємо “я”. А тепер найголовніше: таке життя – Божий дар! Все, що потрібно для отримання цього дарунка, – просто прийняти спасіння, що його пропонує Ісус. Клайв Льюїс, розважаючи про цю духовну істину, порівнює дар спасіння зі “сміхом у темряві”, тобто з чимось таким, на що дуже легко відреагувати, відповісти. “Це занадто просто”, – скаже хто-небудь. Саме так. Бог дуже сильно полюбив нас ще до нашого народження і бажає, щоб ми перебували з Ним вічно. Дорогий Ісусе, я вірю, що Ти вмер за мої гріхи і повстав із мертвих. Я хочу прийняти Тебе як свого Господа і Спасителя – і слідувати за Тобою. Прости, будь ласка, мої гріхи і допоможи мені, починаючи з цього моменту, жити життям угодним Тобі. Христос замінив чорні двері смерті на сяючу браму життя. В газете «Вашингтон пост» появилась статья под названием «Брось вызов смерти: последний проект Технических Титанов». Журналистка Ариана Ча пишет об усилиях, предпринимаемых Питером Тьелем и другими научными гениями, по продлению человеческой жизни на неопределенный срок. В свой проект они готовы вложить миллиарды. Впрочем, эти ученые немного опоздали. Смерть уже побеждена! Иисус Христос сказал: «Я есмь воскресение и жизнь; верующий в Меня, если и умрет, оживет. И всякий, живущий и верующий в Меня, не умрет вовек» (Ин. 11:25-26). Господь заверяет нас, что верующие в Него никогда и ни при каких обстоятельствах не умрут. Говоря точнее, наши тела прекратят существование, и никто ничего с этим не поделает. Но способность мыслить, рассуждать, помнить и любить, та часть, которую мы называем «я», никогда не умрет. А вот самое главное: все это дается даром! Все, что нужно, – это принять спасение в Иисусе Христе. Клайв Льюис, размышляя об этом, употребляет интересное выражение: «смех во тьме». Это значит, что выход из отчаянного положения оказался на удивление простым. Кто-нибудь может сказать: «Это чересчур просто». Что ж, на это я могу сказать: если Бог возлюбил вас еще прежде вашего рождения и захотел, чтобы вы жили с Ним вечно, то зачем Ему было делать это сложным? Иисус Христос, я верю, что Ты умер за мои грехи и воскрес из мертвых. Я хочу принять Тебя своим Господом и Спасителем и следовать за Тобой. Прости меня и помоги жить так, как хочешь Ты. Христос сменил мрачную дверь смерти на сияющие врата жизни.